Passengers launch aboard the Mars spacecraft. Once the Mars spacecraft is in orbit, multiple tankers are sent into orbit to refuel the Mars-bound spacecraft. 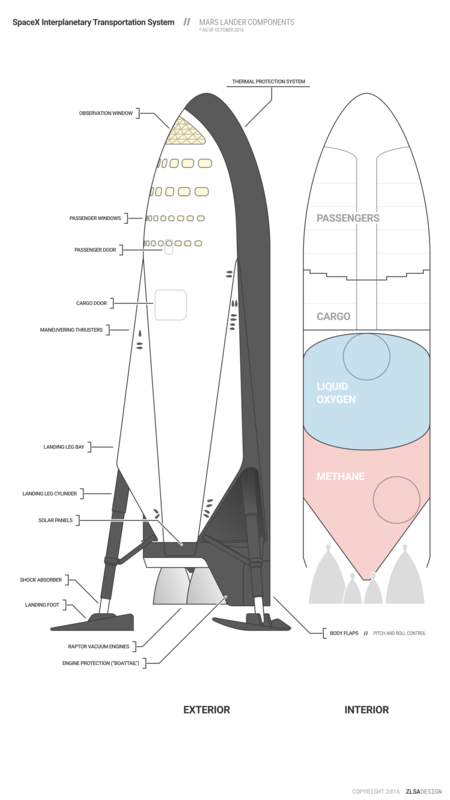 (Elon said they would refuel Mars-bound spacecraft with three to five propellant tankers, depending on travel time and spacecraft cargo.) These propellant tankers launch on the same reusable booster as the Mars spacecraft, and the tankers themselves will land at the launch site for rapid reuse. As soon as all the necessary propellant has been transferred, the Mars spacecraft will perform its TMI burn. The Mars spacecraft (and its passengers or cargo) spend the next few months in interplanetary space.